Rogers Automotive is a family owned business that has been offering Quality Service in the Woburn area for over 25 years! We specialize in preventive maintenance services. It’s important to us to help our customers maintain a safe and reliable vehicle while saving them time and money. 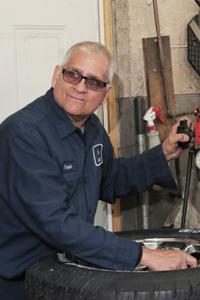 With decades of experience you can be assured of consistent high quality Customer Service and Car Care from our highly trained ASE Certified Technicians. We strive to make your service experience hassle-free by offering early-bird and night-owl drop-off box service and local shuttle service to your home or office. Our waiting room is kid friendly, equipped with games, magazines, TV and free Wi-Fi. With our digital inspections we can show you your car’s health while you are at work or at home. We help prioritize repairs and maintenance schedules that work within your budget. Experience, Trust, and Great Customer Service are key factors to our success. Rogers Automotive is a modern repair facility. 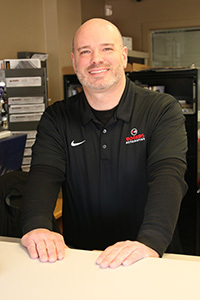 We use the latest computer hardware and software to diagnose and maintain your vehicle. 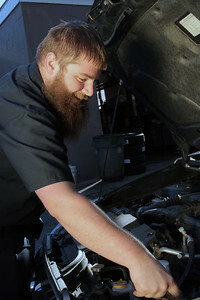 We service all makes and models, Foreign and Domestic and can handle all of your car care needs. Our Team of highly trained, certified and professional technicians work hard to keep your vehicle running at peak performance. Their work is backed by our 24-month / 24,000-mile warranty for your peace of mind. I wouldn't bring my car anywhere else! They are very thorough and reasonably priced! Super friendly! And I love their new APP!! You get a text while you are waiting for you car to be finished up that tells you all the things they found and how critical they are to get fixed! Wonderful place! I recently moved to the area and I was worried about finding a new mechanic, but this place is amazing. Melissa at the front desk is wonderful, she is super friendly and helpful. They check your whole car and send you a report of their opinion of what needs to be repaired and an estimate for how much they charge. I highly recommend this place to anyone who is looking for a mechanic. They are affordable, friendly, and extremely helpful. 5 star service and workmanship. The team at Rogers Auto is exceptional. The work is of high quality, the turn-arounds are fast, and the pricing is reasonable. I manage a fleet of vehicles and Rogers Auto is an excellent business partner. I’ve been a customer for 10 years. The team at Rogers is best. Rogers Auto has been exceptional. Very pleased with the quality of work and customer care. awesome service, dependable and reasonable pricing! Great friendly, speedy service. Anytime something is not covered under the warranty they beat the dealership prices for repairs and preventative maintenance. Honest auto service.